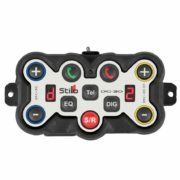 Stilo’s DG-10 Digital Rally Intercom system is the world’s first truly active digital intercom system. This is the same system that you’ll find onboard in most factory WRC rally cars! The impressive “active digital noise cancelling” feature in this unit has been extremely successful making the DG10 (and it’s big borther the DG330) the go to Intercom system from Stilo. The Digital active digital noise cancelling can filter and enhance the sound of the co-driver’s voice from the excessive engine, transmission and road surface noises. This allows the driver to avoid distraction, improving crew’s communications. Digital systems can process and “clean” the audio, delivering clear communications even in the noisiest of environments. The active digital noise cancelling measures the noise levels coming into the intercom every 5 milliseconds (5kHz sample rate) adjusting the sound relative to the type of cancelling option selected on the unit. After processing, a boosted co-driver voice is delivered to the driver’s helmet. 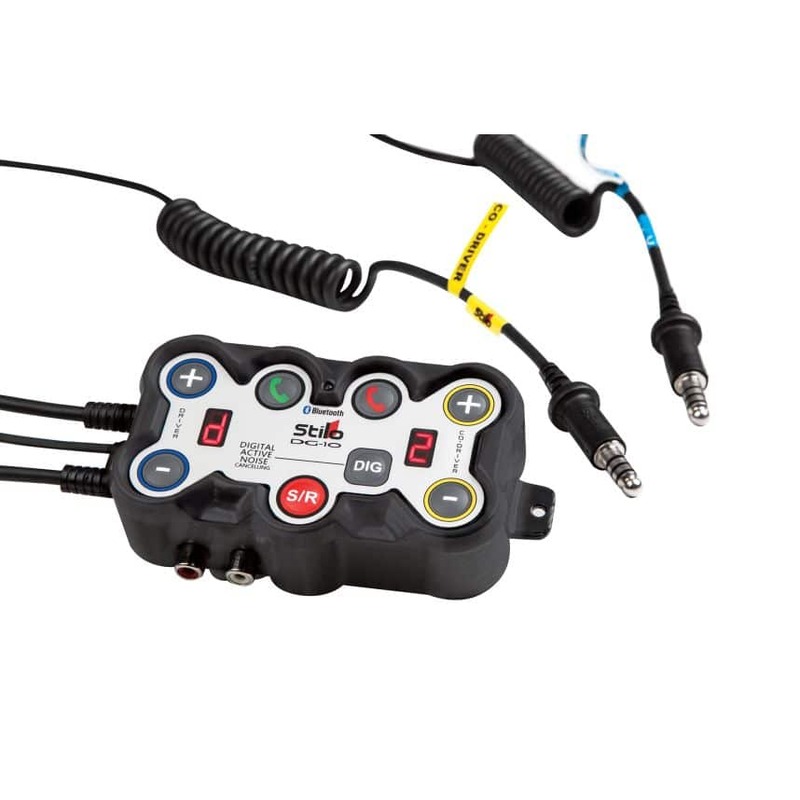 The Stilo DG-10 intercom system runs directly off the car’s 12 volt power system and comes with Stilo helmet wiring as standard.